This Ballard spot’s Mediterranean take on the American classic are called Fire & Honey Wings, which offer a unique kind of mellow zing thanks to harissa, ginger & peanuts and will keep you coming back for more. Though Tat’s is best-known for its sandwiches, it does offer Buffalo wings as a side, and believe us, this “side” is a meal unto itself if you get the 12 piece. Get ‘em regular or hot, but either way your order will come with a side of ranch or blue dressing plus some crunchy celery sticks. 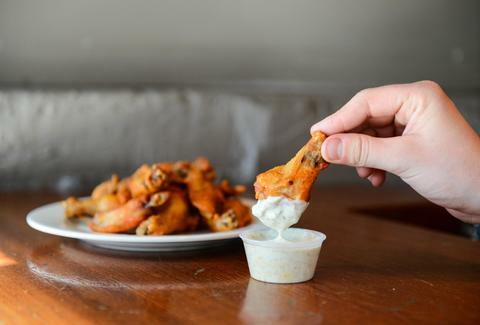 This dive-y watering hole’s wings are fried, crisp, and covered in the house’s very own wing sauce. They're served with blue cheese dressing and are so good that your last chance to stay slim is before you ever try 'em. 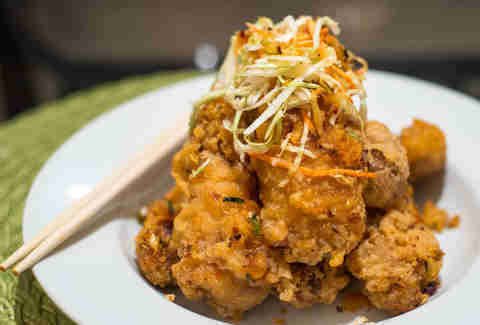 TanakaSan’s twice fried chicken wings are huge and come in two varieties: one with smoked chili and Frank's RedHot, and one with salty caramel, serranos, and garlic. Drop by at happy hour to pick them up for $6 or any other time for $13. 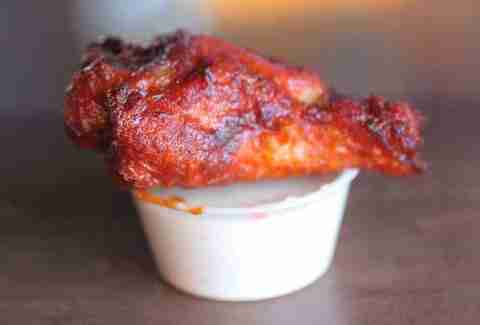 This Capitol Hill Vietnamese mainstay offers its chicken wings for 50 cents a pop every Tuesday. 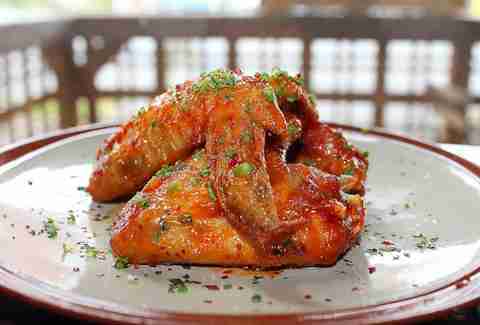 Ba Bar offers two types of wings: Sài Gòn, made with local chicken, caramel sauce, roasted garlic chili, rice vinegar & fish sauce, and a weekly rotating wing. Three rules here... no to-go orders, wings are only available in the bar, and you have to get a drink. Don’t like the rules? Then go any other day. 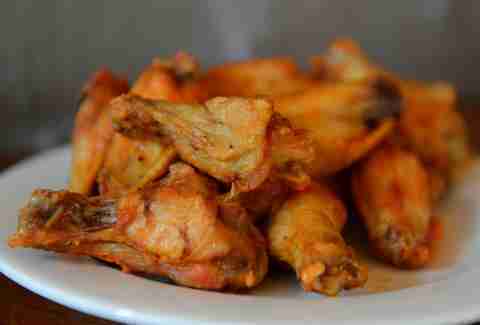 Come in during happy hour, which is daily from 3-6pm, for the best deal on wings you’ll find in the neighborhood. $6 at Local 360 gets you a solid order of chicken wings, which have pepper jelly glaze and cream cheese, but time your trip right since they're not on the regular menu. 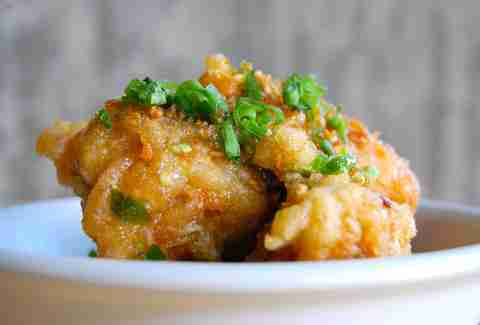 Need we say more than Fried Butter Chicken Garlic Wings? Don’t let the strip mall parking lot keep you from this ID spot, Hue KY MI Gia's tasty appetizers are only a sneak peek into the world of deliciousness that is its menu. 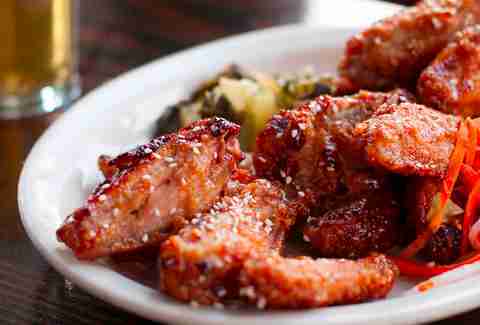 This Tom Douglas institution in Belltown has wood-grilled chicken wings that’ll leave you flying high. 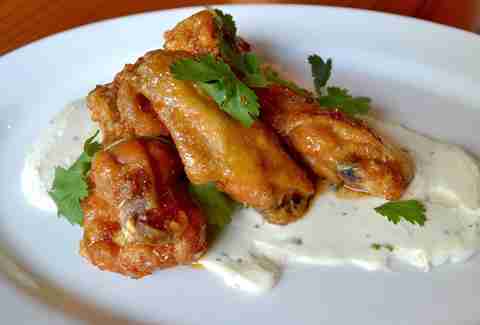 Palace Kitchen serves its wings with a side of coriander cream and will set you back around $12... and a pant size.